An anthem of hope for a new generation, “We Are Tomorrow” is an effort to send a positive message, to bring awareness and spark discussion about the steps we must take to improve our world. At its core, the message is about being mindful of the challenges and issues that relate to each of us individually, and encouraging positive change while influencing how the next generation perceives the world and their place in it. We believe that “We Are Tomorrow” will shine a light on the renewed importance of a timeless message: that collectively, working as one. 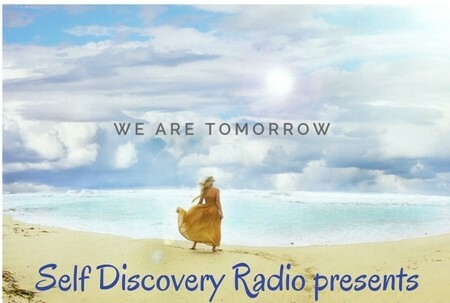 The song “We Are Tomorrow” is a vision born of deep passion from the heart of multi-Grammy winning musician Pablo Stennett, who composed and produced the music. The veteran bassist, composer and producer collaborated with his core team to create this new anthem of inspiration. Driven by an infectious melody, powerful and insightful lyrics and deep, global grooves, “We Are Tomorrow” offers an introduction to the incredible voice and artistry of emerging singer/songwriter Emree Franklin, who is backed by a multi-ethnic chorus of beautiful and talented young children. The song will shine a light on the renewed importance of a timeless message: that we have the courage, strength and wisdom to heal our world and inspire greater love and awareness.